But when the nineteen year old Pancham was signed by Guru Dutt for his film called Raaz, his father was against the idea of R D Burman becoming an independent music director so early. He wanted his son to wait for a few years. R D Burman was adamant, so, the senior Burman called up all the well-known lyricists of that time and warned them not to work with his son. Shailendra reasoned with Burman da and finally convinced him that Pancham was capable of handling the music of a whole film on his own. Two wonderful songs were recorded for Raaz.. both written by Shailendra. Unfortunately Raaz was never released. 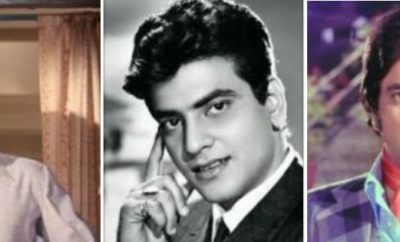 Mehmood had decided to turn producer with a film called Chhote Nawab. He wanted S D Burman as music director. S D Burman refused, saying he was too busy, so Mehmood decided to sign R D Burman for the film. Shailendra would be writing all the songs for Chhote Nawab. The film is about an innocent man who suddenly gets rich and how, his innocence gradually fades away. The director, S A Akbar had heard the two songs that Pancham-Shailendra had recorded for ‘Raaz’. He fell in love with one of them and asked Pancham to re-record the song with Lata Mangeshkar. The situation is quite unique for the song…. Mehmood is in a kotha with his friend (Anwar Hussain). It is the nautch girl who sings the song, BUT, the words are what his beloved, alone at home, would be singing. The focus shifts back to Mehmood, he likes what he sees and hears. All you need to do is count 1-2-3, 1-2-3-4…. Try it…. Coming back to the song…. Mora jiya dhak dhak rey chamake bijuriya…. Shailendra has set the mood and the ‘mausam’ for the song….Romance…. Rains are a great boost for romance….. If you are with someone you love…. GREAT….If you are alone, you pine for the one you love. Shailendra literally stabs the heart with his words in the verses…. Tupp tipp sunata main toh bhayi rey baanwariya…..
Another interlude which is divided in visuals between the two women. Mehmood seems to be enjoying the dance now… wife/ lover forgotten. Jaaney, mohey laagi kiss bairan ki nazariyaa…. Shailendra drives the knife right home….The director moves between a lonely, empty house and a well-decorated ‘kothaa’…..Shailendra is the seasoned campaigner, but, the young R D Burman gives you a glimpse of what he will do in the near future….But honestly…. this director impresses me….Selecting a song like this for the situation is in itself great….He justifies it with his shooting and editing…. R D Burman has arrived….